We recently got Finley a new brace for his clubfoot that he sleeps in--he had busted his old one from being so wiggly in his crib. He was out of his brace for about a month before we finally got the new one, so he wasn't too thrilled to wear them again. 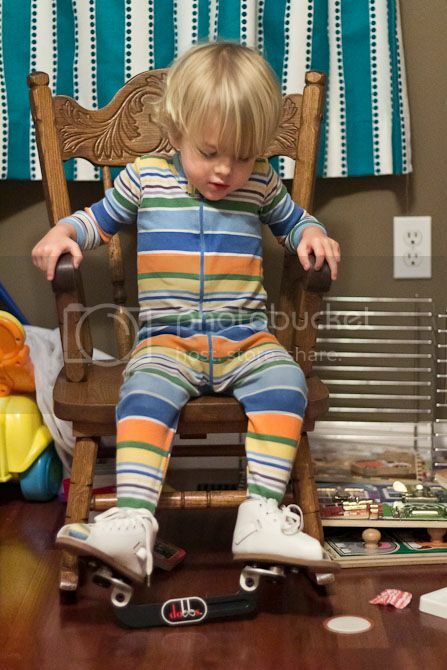 However, he was SO excited when we got them--he immediately dubbed them his "wiggly shoes." 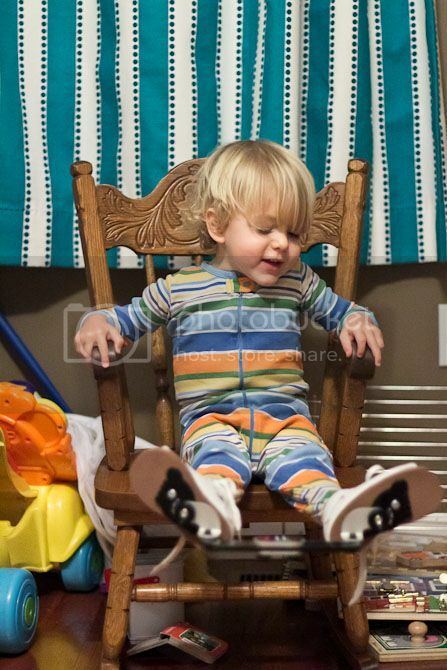 These are a little more comfortable because the shoes pivot on the bar--so he can move around a little easier when he sleeps. And here's a little clip of him moving around in them. I just realized the gibberish he's babbling is from a book about gorillas... he really likes that book. I love that it only took him 44 seconds to learn how to move around with the brace. So Smart! 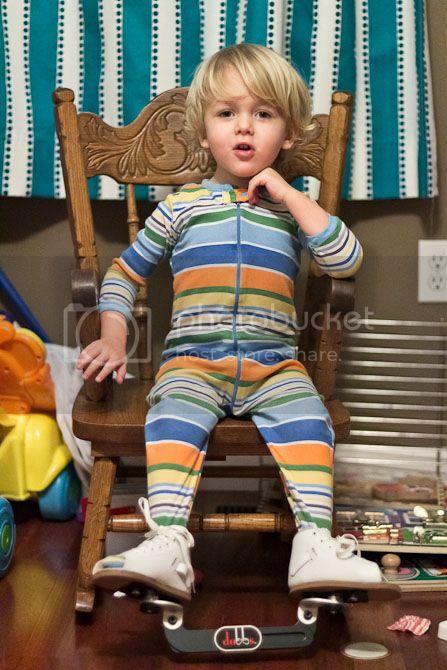 Cute boy in cute striped pajamas. So very stately in that last photo. For some reason he reminds me of Abe Lincoln. Yeah, I don't know.